The film Avatar shows off director James Cameron's interest in the alien life right here on Earth. In particular, the unusual life in our oceans. 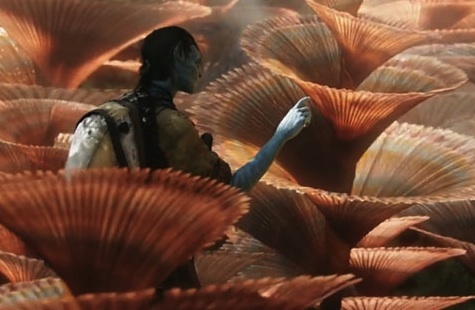 For example, consider the Helicoradian flowers, that almost instantaneously shrink back into the ground at Jake Sully's touch. 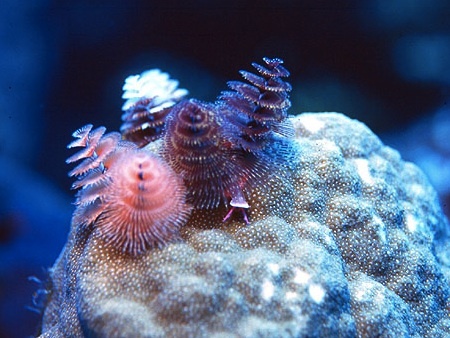 These flowers appear to be modeled on real-life christmas tree worms, like those shown here. Take a look at the amazing speed of these little creatures in this video - don't blink! Obviously, this is not an sf invention or technology, but I do enjoy presenting these Beyond Technovelgy items from time to time, showing other sources for sf inspiration. See the interesting source article at Aquaviews; thanks to Adi for the tip.